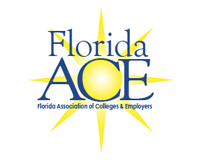 The 2019 Florida Association of Colleges & Employers Annual Conference will be held June 12-14, 2019 at The Shores Resort & Spa in Daytona Beach, FL! Members must be logged in to get the member rate. One-Day Rates include all meals and conference-sponsored events. Any affiliate member attending the conference to represent their organization, must register as a vendor/exhibitor. Conference attendees can add the pre-conference tour at Daytona Speedway to their Annual Conference Registration. The cost is $40 and covers your tour ticket and lunch for the 3 hour event. Already registered for the conference? No problem! Email [email protected] and indicate you'd like to add the pre-conference to your existing conference registration.